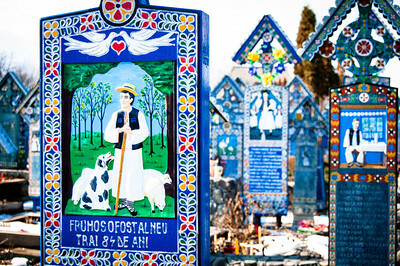 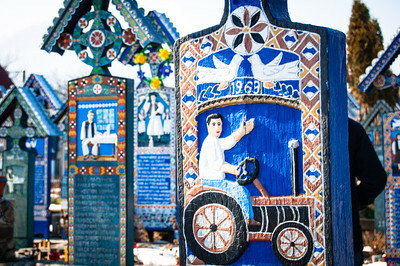 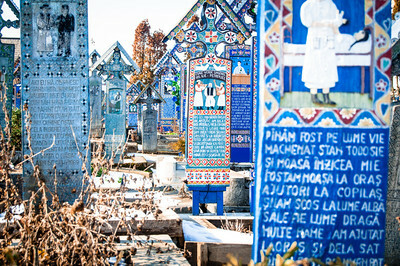 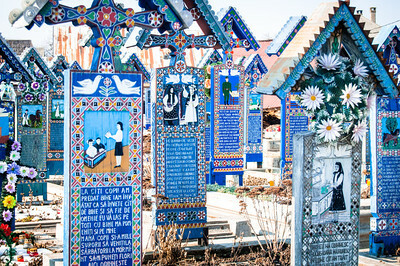 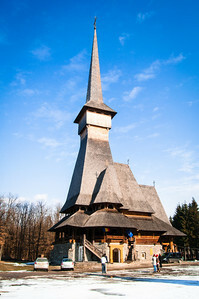 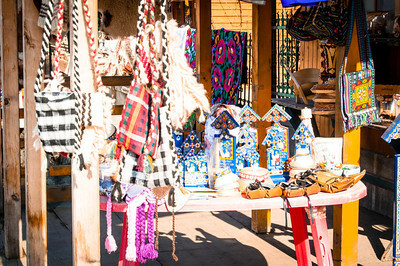 The Merry Cemetery is an open-air museum located in Săpânța, Maramureș. 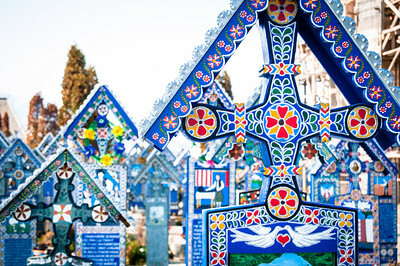 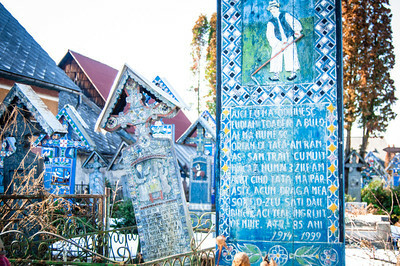 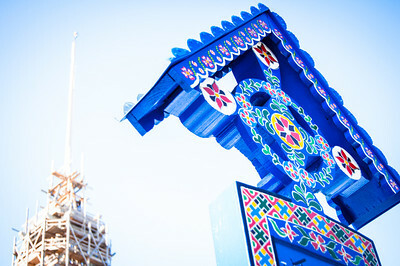 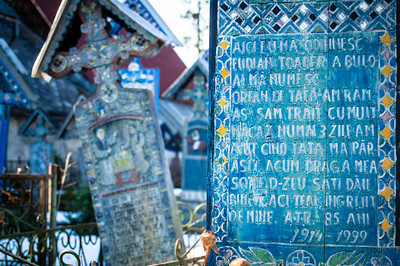 Its fame is due to the colorful tombstones and the paintings that describe the lives of the people buried there. 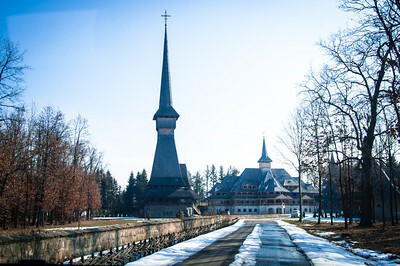 Bonus the Săpânța-Peri monastery church that is the tallest wooden structure in Romania, 78 metters.